Stephen Motika is the editor of Tiresias: The Collected Poems of Leland Hickman (2009) and the author of the poetry chapbooks Arrival and At Mono(2007) and In the Madrones (2011). 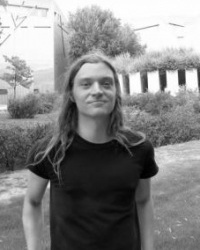 His first book, Western Practice, is forthcoming from Alice James Books in Spring 2012. A 2010-20122 Lower Manhattan Cultural Council Workspace Resident, he is currently the program director at Poets House and publisher of Nightboat Books.